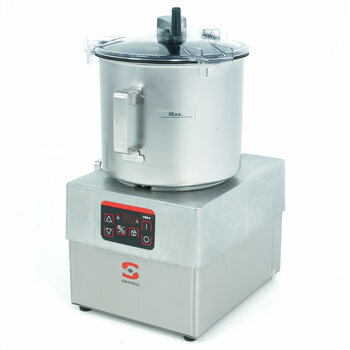 Commercial Food Processors for the professional kitchen. Our bowl cutter can chop, mash, knead, emulsify any product in seconds: vegetables and herbs, different types of dough, raw or cooked meat, fish, fruit, nuts, ice, hummus, etc. 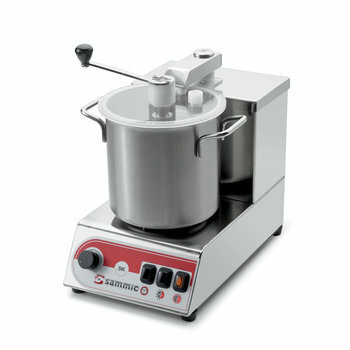 Complete range of mixers and emulsifiers of 3, 5 and 8 litres of capacity that meets each user's needs. 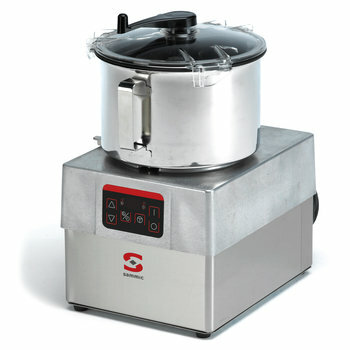 CUTTER-MIXER CK: 2 speeds and 5 or 8 litres capacity. The CK-5 and CK-8 mixers are strong, very easy to use and clean. Stainless steel removable bowl whose cover design allows liquids to be added whilst in operation. The control panel, electronic and waterproof, allows programming by time and includes a burst button. Sammic Cutter-mixer is equipped with safety micro-switch, which avoids wrong working if the cover or the bowl are not in the correct position. 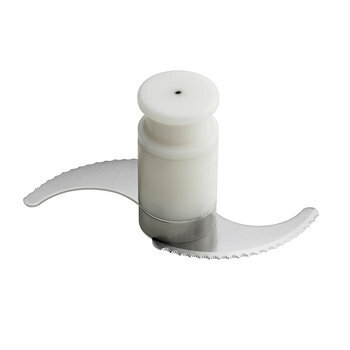 The CK cutter-mixer is easy to use and clean and is NSF-listed, Standard 8 compliant. It is made of the highest quality materials, all suitable for contact with food. The difference between the CKE and CK is that the emulsifier is specially designed to work with liquid. Stainless steel removable bowl whose cover design allows liquids to be added whilst in operation. With variable speed, the control panel, electronic and waterproof, allows programming by time. The cover includes the unique "Cut&Mix" scraper. 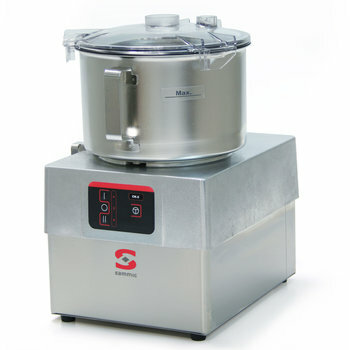 SK-3 cutter-mixer and SKE-3 emulsifier are equipped with 3 lt. bowl. Stainless steel removable bowl whose cover design allows liquids to be added whilst in operation. The control panel with variable speed can work in continuous mode. Sammic SK/SKE are equipped with safety micro-switch. 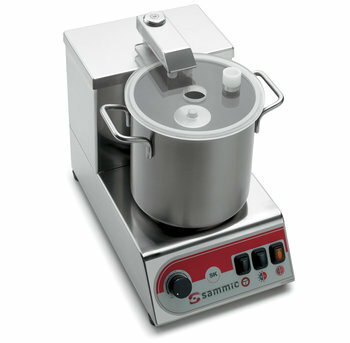 Sammic compact range cutters and emulsifiers are equipped with a stainless steel 3 lt. (3⅛ qt.) removable bowl. They are made from the highest quality materials which are all suitable for contact with food. A continuous speed variator allows the user to either use the unit continuously or with the pulse function. All models are equipped with a safety micro-switch that stops the machine when all safeties are not engaged. Also, the cover has a small opening which allows liquids to be added while the unit is in operation. 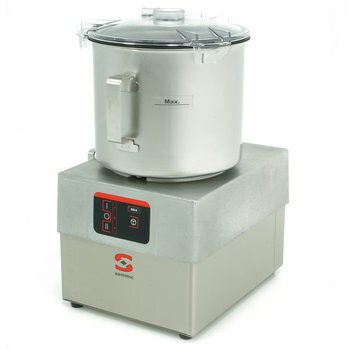 Chop, mash, mix, knead, emulsify any product in seconds. It consists of a variable speed motor block with a regular hopper and a 5 or 8 litres (5¼ or 8½ qt.) food processor bowl and a hub with serrated blades. 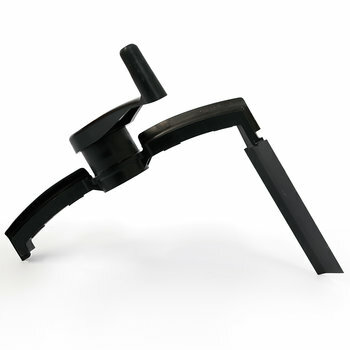 They offer high production timetables because of their vented motor, allowing for continuous use. 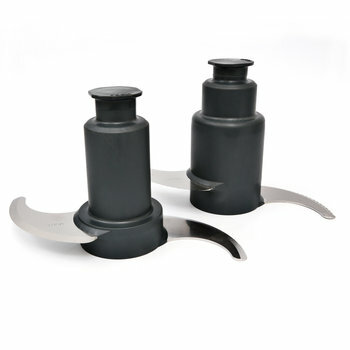 Constructed from stainless steel and highest quality materials, all suitable for contact with food. Sammic CK cutters and emulsifiers are equipped with a user-friendly, waterproof led-lit control panel that makes it very easy to use. Capacity of the bowl: 5 lt. / 5 1/4 qt. 2-speed appliance. Capacity of the bowl: 8 lt. / 8 1/2 qt. 2-speed appliance. Capacity of the bowl: 5 lt. (5¼ qt.). Variable speed appliance. Control panel with timer. Capacity of the bowl: 8 lt. (8½ qt.). Variable speed appliance. Control panel with timer. 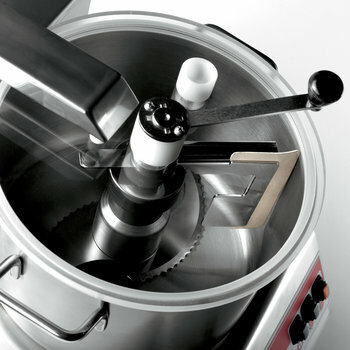 Hubs with blades for Sammic Cutters and Emulsifyers.